In today's rap world, we are consumed with pushers, pimps, party animals, and self proclaimed aliens with intentions on proving that they are extraterrestrial. With a spectrum that goes from white to black without any regard of an in between, we often forget what it feels like to be the average Joe Schmoe. In comes Greed Musik, the epitome of your average urban citizen, with the ability to bring calm to a raging bull and yet still posses the energy to raise the flat line in a diminishing industry. Darius Hammond, better known as Greed Musik, is no stranger to the industry norm. Born in Capital Heights, MD, Greed Musik is use to being surrounded by the street life, which is very evident in his music.Yet, Greed Musik delivers his life experiences in a different fashion. Maybe its his upbringing that instilled such wide variety of character. Greed Musik doesnt state that he participated in the drug peddling, but he will state that he has witnessed it like it was the only way to live. On the other hand, he wont hesistate to mention his time in Catholic School, and that he has a family that consist of Muslims, Baptist, Jehovah Witness, and Christians. "I read alot, I studied people and I wrote everything that I saw, heard, and felt" Greed Musik mentions. With so much going on, we often wonder how one doesnt explode. Not Greed Musik. His music resembles a shot of the smoothest Cognac that provokes thought. Challenging the boundaries of Hip Hop, Greed Musik explifies "Humility with an edge". "Music is what kept me sane. Its what put me too sleep and what woke me up" as mention by Greed Musik. Influenced by the legends of this art, such as: Tupac Shakur, Scarface, Biggie Smalls, KRS 1, Rakim, Redman, and MC Eiht, Greed Musik encompasses his childhood heroes and delivers it in his own way. With his debut mixtape "My 365 Grind", Greed Musik managed to create a local buzz that helped accomplish his goal of getting prospective fans to ask who and where can I get more. In comes the wits. Understanding that this business is fueled by not only talent but by understanding how the business works, Greed then showed the local-lites what independent means. From acting as a producer, graphic designer, manager, booking agent, owner of an independent label, and artist, Greed is a true testament of what it means to wear many hats in this industry.Greed states, "I want to be able to say that I didnt have to rely on anyone. Not only that, but when the next artist from my area sees what I had to do, it will be more believable when someone says anything is attainable". 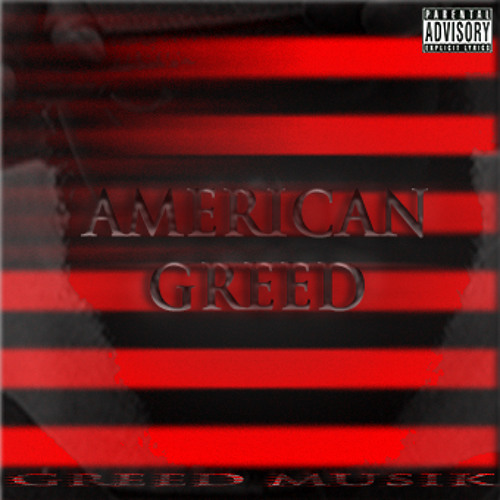 Showcasing his business mind and independent attitude, Greed Musik is set to deliver his sophmore mixtape titled "American Greed" on December 16, 2014. The first of a three part series, Greed Musik touches on real life events. From police brutality to relationships as a adult. Greed Musik displays what he believes is missing in this industry, which is honesty. Easily heard in every song, you hear the pain that stems from mistakes and the joy that comes from accomplishment. Greed states, "I want people to not only respect me because of my lyrical abilities, but I also want people to love me for being honest and humble". As Carl Rushing, a reputable DMV engineer and owner of Gem Star Pro Studio, states "In an era of dumb-down lyrics and recycled beat ideas, its refreshing when an artist comes along with uncompromising depth and originality. Greed continues to challenge ears and minds over a blend of classic beats", we must say that we are blessed to have a true honest artist. In preparation for the release of "American Greed", Greed Musik strives to build a huge demand for his sector of hip hop. From performances from Rhode Island to Stone Mountain, Georgia, to radio interviews up and down the east coast, Greed Musik understands that the only way to earn the attention of the masses is to hustle. As once said "you have to get up get out and get something", look for Greed Musik to not only get whats deserved, but we should find space in our crowded ears and make room for an artist who brings us back to what hip hop really means.